The time is coming when anyone who kills you will think they are offering a service to God. There are troubling signs in the way the media downplays or ignores the persecution of Christians overseas. Western privilege blinds them. They seem to think if Christians have it pretty good in America, stories of Christians suffering overseas aren’t relevant. But in our efforts to get the stories of modern Christian martyrs heard, we must be careful not to take their mantle of suffering for our own. The vast majority of you, our readers, are in “safe” countries for Christians. 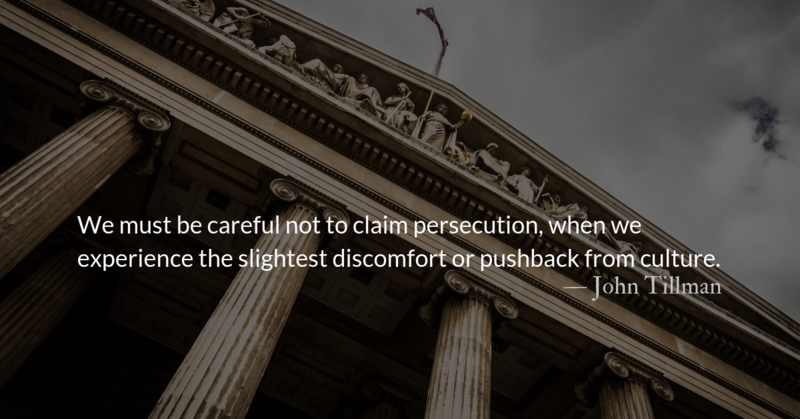 Our difficulties are not comparable to those suffering true persecution. Our readers outside the United States are twelve percent of our email subscribers but over twenty-five percent of our web traffic and social media. As we pray today, using Christ’s words to his disciples before his crucifixion and considering our reflection from yesterday, may we keep in mind and hold up before God’s throne in prayer, members of our community and of God’s church in countries where they are threatened by the state, by religious militias, and by other dangerous forces. “I have told you so that you will not fall away. The time is coming when anyone who kills you will think they are offering a service to God. I have told you this, so that when their time comes you will remember that I warned you about them. Turn our brothers and sisters’ grief to joy. And turn our mourning into action on their behalf. When religion gets mixed up with patriotism, things turn ugly. The most patriotic thing Christians can do is see the problems of our nation and speak the gospel to them. Let them throw us in a cistern like Jeremiah. Let them burn our words rather than listen to them. May we be faithful to Christ and his kingdom alone.